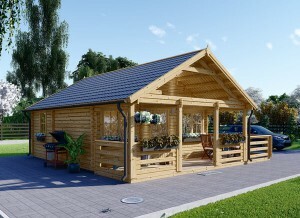 A porch can add a magical touch to your log cabin and fill your life with magical moments: You can stay out in the porch and enjoy the change of seasons, feel the warm sun rays on your face on a summer morning and cool wind on autumn evenings, and feel the night breeze while watching the stars falling down on a crystal night. What could be more magical than these moments you can cherish in your memory forever? This is what makes a porch one of the favorite places for the homeowners. 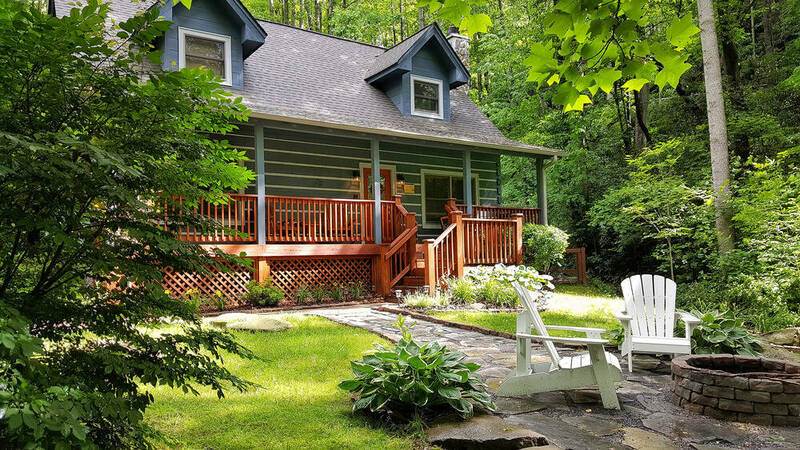 Log cabin owners love to incorporate different types of porches as it allows them to get closer to the beauty of nature. 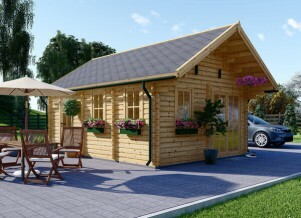 In fact, the size of the porch does not matter: a small porch can be as charming and beautiful as a large porch. You just need to consider your budget and the type of porch you'd like to have. There are several things you should consider before going ahead and constructing a porch. 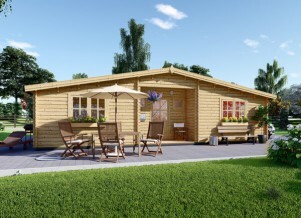 First, you need to consider the size of the porch in comparison to your log cabin. A very large porch or a very small porch can look ridiculous while the right size porch will add a beautiful and authentic touch to your dwelling. 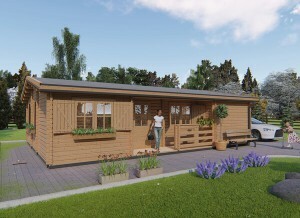 So, the size of the porch should be proportional to the house. Also, it is very important to adhere to the same roof style when adding a porch. If you do, the porch will look like a harmonious continuation of the house rather than just an annexed part. Decking, porch walls, columns and ceilings should also be taken into account. Columns can add a nice decorating feature to your porch as well as providing a Mediterranean look if you add some arches as well. You can pair them with curved balusters or rows of spindles; all these things will definitely give it a unique look. If you want to make your porch more private, you can add a wall – a nicely decorated wall will definitely create a cozy space next to your house. Porch decking can also be a nice extra to your porch. Once you decide to go for decking, you need to ensure it is pest resistant and rot resistant. It is crucial to choose resistant and durable material as your decking will have to endure a lot of 'traffic' and if you don't want to repair it every now and then, you need to ensure it is made of qualitative material. Use only stainless steel connectors. Any fasteners made of corrodible metals will degrade significantly with time. Position the porch floorboards with approximately ½ inch spacing around all fixed structures (columns, posts, walls) to allow wood movement. It is recommended to leave a space between porch floorboards. If the porch floorboards meet the joists at an angle of 90 degrees, leave a space of maximum 16 inches between joists. The floorboards should be installed at least 18 inches above the ground to ensure proper ventilation. Make a slope of ⅛'' to ¼'' from the main house to ensure moisture does not come on porch. Make sure you have all the tools available. Consider installing guttering, roof overhang and drainage.